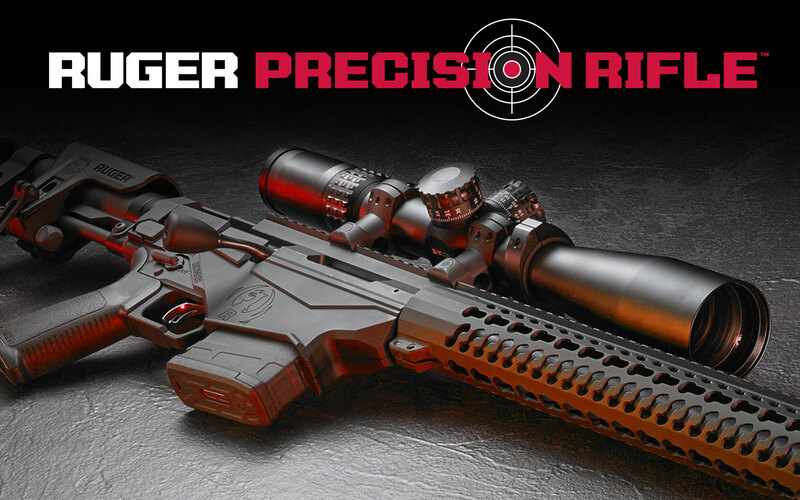 With its entry-level price and match-grade performance, the Ruger Precision Rifle looks to “distance” itself from the typical long-range rifle. Medium contour (.75” at the muzzle) barrel features 5/8”-24 threads. Thread protector installed. 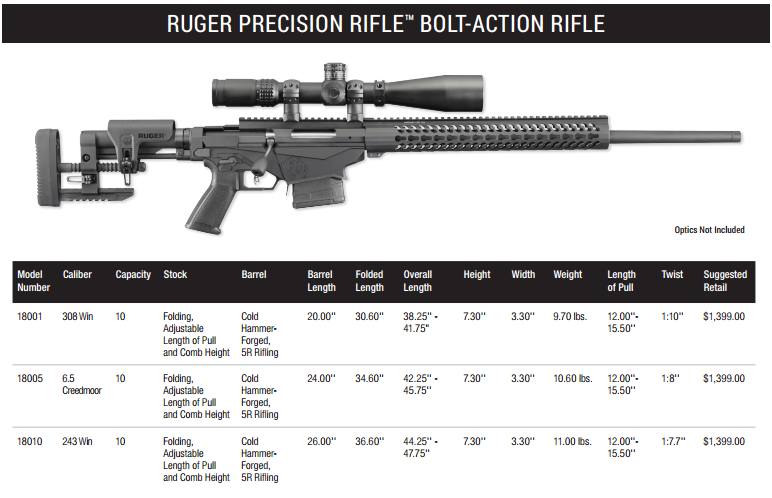 Highly accurate Ruger cold hammer-forged 4140 chrome-moly steel barrel with 5R Rifling at minimum bore and groove dimensions, minimum headspace and centralized chamber. ‘Lower’ magazine well halves are precision machined from aerospace-grade 7075-T6 aluminum forging and are Type III hard coat anodized for maximum durability. ‘Upper’ receiver and one-piece bolt are precision CNC-machined from pre-hardened 4140 chrome-moly steel to minimize distortion. Oversized bolt handle for positive bolt manipulation, with 5/16”-24 thread for easy replacement. Bolt disassembly tool is stored in the bolt shroud for easy striker channel cleaning. Inline recoil path manages recoil directly from the rear of the receiver to the buttstock, not through a traditional bedding system, providing maximum accuracy potential. 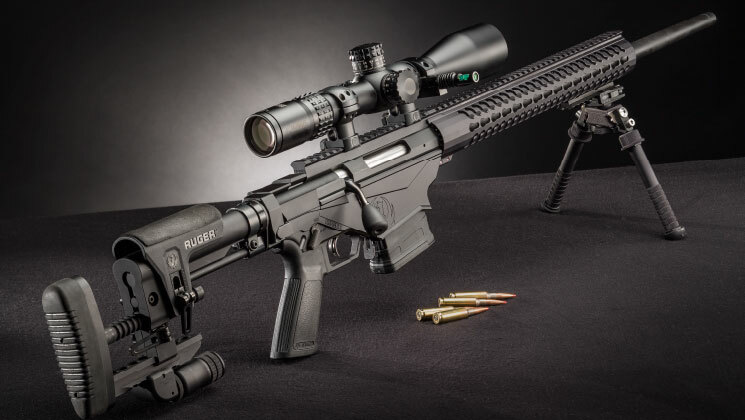 We haven’t posted our full review for the RPR yet, but readers can submit their own reviews below. If you think you’ve got what it takes to be a staff reviewer for RGR, please contact us! 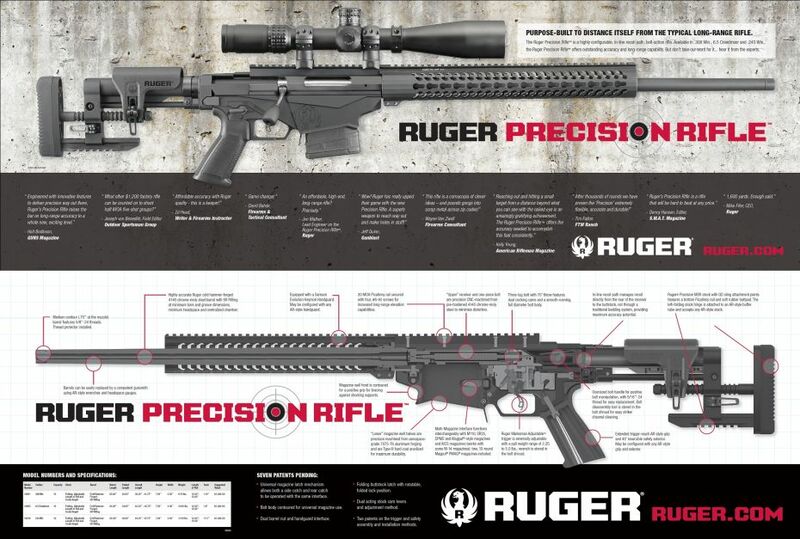 Ruger's decision to offer a precision rifle with a street price of UNDER $1,000 that can shoot OVER 1,000 yards seems to be paying off. 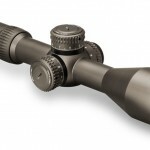 Available in .308 Win, 6.5 Creedmor, and .243 Win.